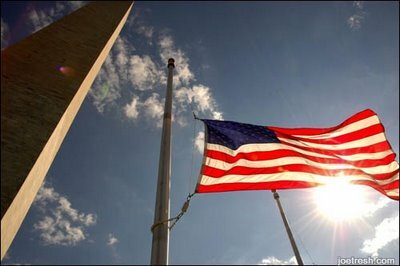 Why Are Flags at Half-Staff Today? You may have noticed on your morning commute that flags were set at half-staff today. If you were curious as to the reason why, Homes for Heroes has your answer. May 15 is National Peace Officers Memorial Day. This day has been observed since 1962, when President Kennedy signed a bill from Congress designating May 15 as a national holiday celebrating peace officers. In 1994, President Clinton amended the bill by mandating that the flag be flown at half-staff on this date. Yesterday, President Obama issued a statement recognizing this week as National Police Week (mentioned on our blog yesterday) and today as Peace Officers Memorial Day.